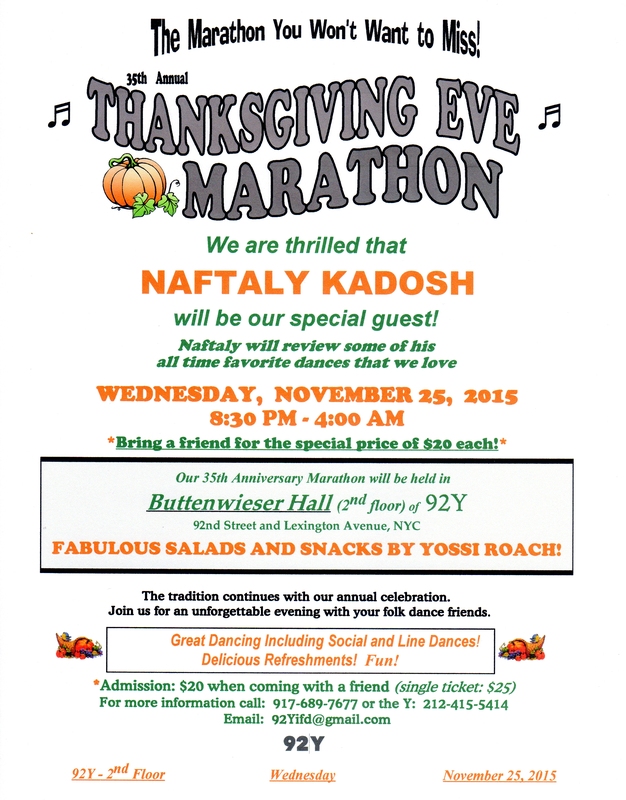 35th Annual Thanksgiving Eve Marathon at 92Y! favorite dances that we’ve loved and love! Great Dancing Including Social and Line Dances!